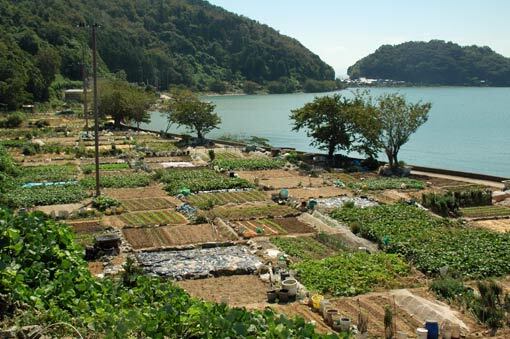 With most of its land being hilly and forest, Oki-shima boasts rich wildlife. 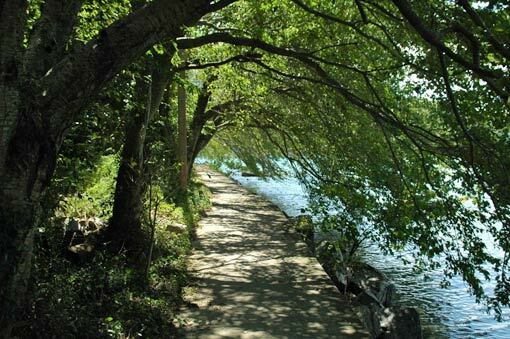 Besides a stroll around the atmospheric village, it is worth extending your walk beyond its outskirts to experience the nature of the island. From the south-western edge of the village, you can head north along a narrow road on an embankment to the north-western tip of the island. After passing through a short tunnel of trees, a bunch of crop fields will come in sight on the right. Here is admittedly the island’s “farming centre”, the area is still nothing more than a small strip of land though. 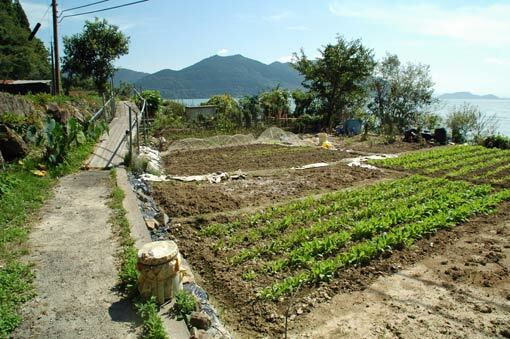 Various kinds of vegetables are planted neatly on the field subdivided into quite tiny plots. 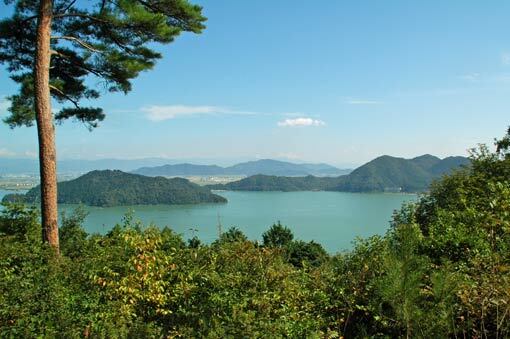 If you walk a bit up the surrounding hills, you will see some lush slopes are also cultivated and will overlook massive Lake Biwa. 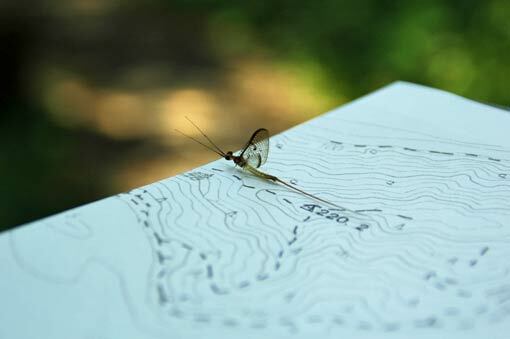 Apart from the coastal area, you can also enjoy hiking in the mountain. At some corners in the village, there are trails up into the forested hills. All of the trails eventually meet and lead to the 220-metre peak overlooking the strait between the island and the mainland. Lake Biwa sitting 86 metre above sea level, the actual ascent to the peak is not very strenuous — about 130 metres. In the evening, from the end of a boat back to the mainland, you will see the island silhouetted against the lake glittering in the declining sun. 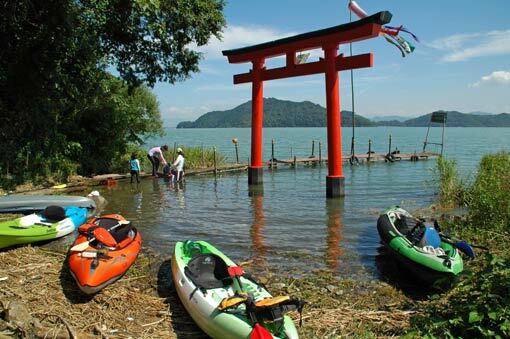 Nothing luxurious, but with its incomparably peaceful atmosphere and rich flora and fauna, Oki-shima is a wonderful place to visit for one-day trip away from urban hustle and bustle.